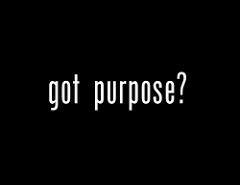 The notion of companies having a meaningful purpose isn’t new for marketers but the need has never been greater. And “It’s just not about what you stand for, but what you are prepared to take a stand against” BBD COE Jason Foo explaines in his interview with Creativepool. “You need to be brave and take sides in an argument. There are macro cultural forces and you need to decide where you stand if you want to really matter to your consumers”. Foo noted that Starbucks’ reputation score got the second highest weekly rise on YouGov’s Brand Index of the biggest fast food and drink brands after the company took a stand against President Trump’s travel ban, announcing that it would hire 10,000 refugees over the next five years. Another example is clothing brand SKINS which successfully disrupted through its brand purpose, “Fueling the True Spirit of Competition,” and fighting to give every athlete an equal chance to get to the starting line. He revealed how this has led to SKINS combatting corruption, racism and homophobia on and off the field of play.